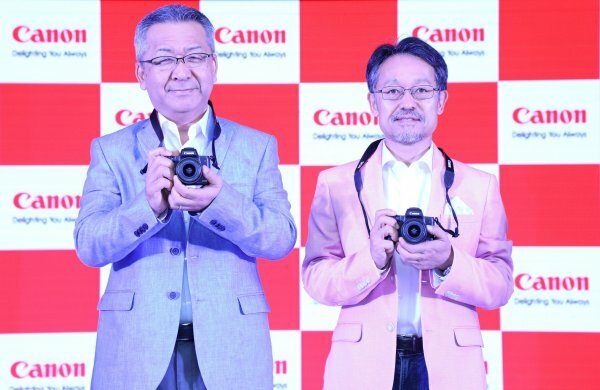 Canon India today launched Canon EOS M50 mirrorless camera with 4K movie shooting ability and is ideally suitable for those that prefers and enjoys telling their stories on social media platforms through their pictures and videos. This is light weight device and offers connectivity options of Wi-Fi, Bluetooth and Near-field communication (NFC) for easy pairing with the smart devices for sharing of images and videos. The Canon camera connect app (available iOS and android) also allows users to have real-time control of camera settings and transferring of images automatically when paired with smart devices in real time. The USP of this camera is 4K movie shooting function and is able to produce footage four times the resolution of full HD. It has dedicated time-lapse movie setting which the company claims will be ideal for capturing magnificent time-lapse videos of streetscapes and landscapes in 4K with a breeze. It has built in five-axis stabilisation feature for seamless and resolute video capture. This camera is powered by the new DIGIC 8 image processor and an approximately 24.1 megapixel APS-C sized CMOS sensor for capturing crystal clear images even in dimly lit conditions. It has built-in electronic viewfinder (EVF) to see highly accurate image representation of what is seen by the camera sensor. With the normal ISO speed of 25,600 and expandable to 51,200, users can achieve clear shots with minimum noise for photos even in low light conditions. It also has silent mode (applicable in scene mode) which mutes the shutter sound for capturing without disturbance. The EOS M50 has improved Dual Pixel CMOS AF which covers up to 143 AF points for achieving fast, accurate images and even moving subjects. It has touch & drag AF feature, which allows users to easily switch the subject of their focus by dragging the AF frame directly on the LCD panel even while composing a shot through the camera’s electronic viewfinder. 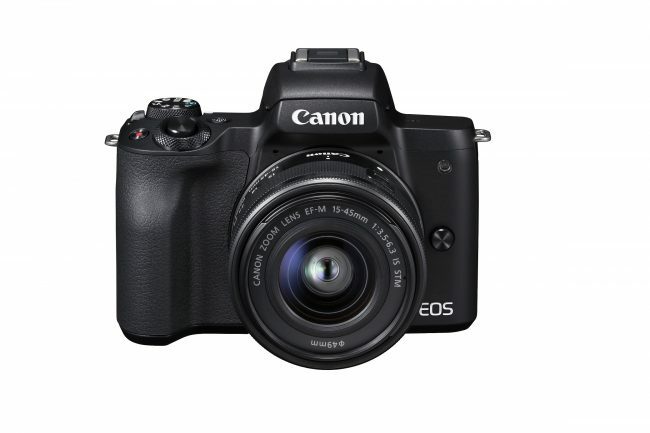 This camera has 3-inch touchscreen that makes it easy to use and shoot from high and low angle. It is also designed for single handed operation, with buttons and dials located on the right side of the camera so users can adjust settings even while looking through the EVF. The EOS M50 comes in two colour shades- black and white and is available with a single kit option, the EF-M15-45mm f/3.5-6.3 IS STM lens at Rs. 61 995 inclusive of all taxes.